Kristi L. Stout was born a Californian in 1980 and has moved around more times than she can count. After a three-year stay in the beautiful, Pacific Northwest she found herself back in sunny, southern California where she continues to write, create art and raise her daughter. A loving spiritualist and inquisitive adventurer, Kristi has been drawing and writing stories since she could hold a pencil. Graduating from college in 2005, majoring in Media Arts and Animation, Kristi’s professional career has involved everything from graphic design, to industrial design, fine arts and illustration. Kristi: I have a message that I want to share with the world and stories inside me that just have no other choice but to come out. 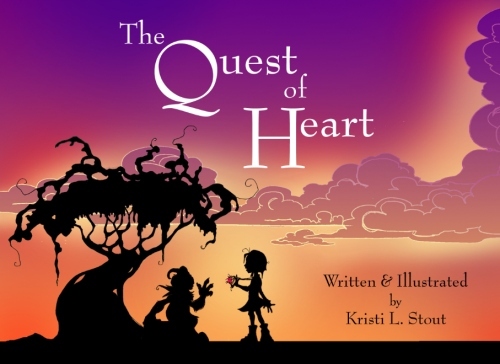 Kristi: The Quest of Heart is my first officially published book. However I am a contributing author to an online European-based forum called www.RebelleSociety.com. 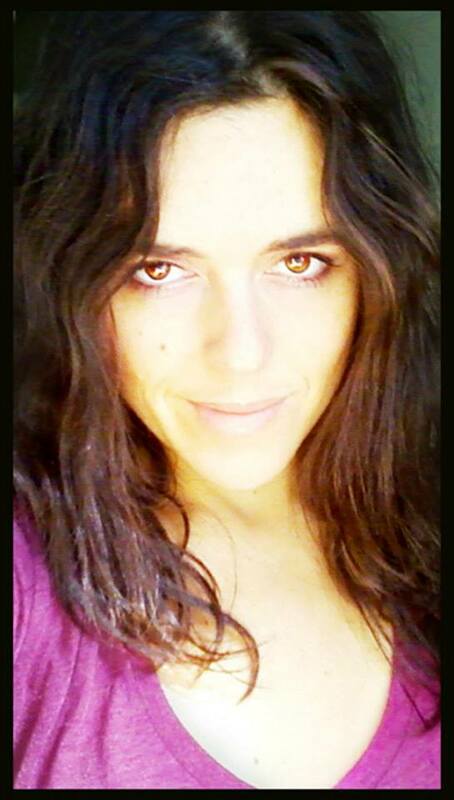 Where I write articles about creative rebellion and conscious thinking. Follow a girl as she searches for the other half of her heart. Along her journey she meets friends and almost loses her imagination along with all the color in her life. Her encounters remind us of the hope that can be found inside our hearts. The Quest of Heart is available for purchase through www.thequestofheart.com and Amazon. eBook is available through Kindle and Google Play Books. Kristi: So far my Rebelle Society platform has been a wonderful tool to spread the word as they are a world-wide forum. My book sort of ties into self-help and spirituality so I am also approaching Unitarian Congregations in San Diego County via a close connection with one particular congregation in the Philippines. Kristi: There is a great authors blog through Infinity Publishing that has some excellent ideas for marketing yourself. I have taken lots of their tips and advice as well as just some creative ideas of my own with the fantastic help of my business manager. Thinking OUT-OF-THE-BOX in this case can be excellent and fun. Kristi: Just getting it out there. Getting it seen and marketing in general. When you are the creative mind behind the stories and illustrations, marketing proves to be a time-consuming challenge for the creative. But a necessary step in getting the message to the world, one I am charging head on like some kind of warrior. Kristi: Well, I am a new author and it’s been blood, sweat and tears to get to the point I am now and I’m still going strong still without any huge breaks. It is quite helpful in this case to have a strong faith when pushing your book because it is the driving force behind what you do. For instance, the thought: If I just keep going, something will break. The hope that something is just around the corner. Hang onto that with ferocity and I think something good will come.